educating customers about your products or services? PKC develops marketing plans that deliver results. Successful brand building doesn’t happen by accident nor does it happen overnight. It is a function of developing a solid brand foundation, strategic planning, and consistent branding and messaging across all communications channels, implemented over time. Grow Your Business & Bring it to Life! An effective marketing plan includes a combination of traditional and social marketing initiatives tailored for select target audiences, designed to fit your budget. 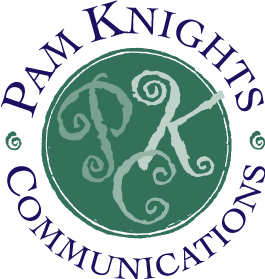 As a branding strategist with a focus on developing connections and harnessing the power of cross marketing, Pam Knights offers a wealth of creative ideas. An advocate for educating your customer, she develops educational materials, programs, and special events to engage customers and attract media attention. These initiatives provide a rich source of interesting information to promote your business through blogging, email campaigns, advertising, public relations, and social media.